Author - Arjun pujari | Dated - 27-02-2019 | car design portfolio	automotive design entrance	Transportation Design colleges	Car design colleges	Automotive Design Colleges	Automotive design career	Design college in India	Learn car Design	Car design Online	Creative	Car Design education. 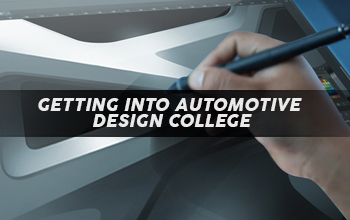 Designing is a very broad field, choosing a particular discipline, will help you choose the best college for your career, speaking particularly about the automotive designing, there are some best colleges available in India as well as abroad for creating your bright future. Before move further let me address this obvious question that students have in mind. Is it compulsory to have a degree to get a job? However, it is not mandatory to have a degree in designing to get a job in the industry, more on it depends on your skills and passion. In this case, you can refer to some of the certification and online courses for skill development and understanding the industry. I would recommend taking these online courses before getting into designing colleges and invest heavy numbers in college. This way will help you to have a clear vision about the industry and what you are going to learn in upcoming years, I see many students fail to complete the course and drop out in the middle due to lack of skills and understanding of responsibilities. Okay, now that has been cleared. Let's know about the procedure and ways to get into designing colleges. Almost every prime designing school conducts its own entrance exam and personal interview to give admission to all deserving students. Since the number of colleges is less and to maintain the best quality, these procedures are being carried out. In order to get into the best designing schools, you must have basic skills and observation which are mandatory for a good designer. Which we will know in depth in this post. Once you take the certification course and get started with it, you need to work on building a strong foundation for your designing career, work on tiny things which will Inturn help you building huge differences. Follow the best design professionals on social platforms which will keep you updated with the current trend in the industry, keep you motivated and focused. These are some basics skills and the mindsets u must have to become a good designer. Call every college in the list and ask about the fee structure and facilities that they provide to students, have knowledge about the various programs that college conducts for their students to give exposure to the outer industry, choose and mark the unique programs and facilities that could help you in your career building process (how to become car designer). Research on placements and internship programs that college is providing, the number of companies that they have onboard, and the percentage of student get the job after completing the degree. Having an idea of all the factors will help you take the decision easily and will take stress off and Work on the building your portfolio where you showcase all your work and interest. Once you do your homework start re-listing all the colleges according to your priorities and convenience. Attend all the entrance exams of multiple stages and prepare for the personal interview and choose the best college according to your need and convenience. Here are some of the online courses that you can go for your preparation of bachelors and masters in designing, click here.